Advance Purchase or Room & Breakfast for Two offers. Starting from $787 per person, double occupancy. Graceful waves roll in on legendary Waikiki Beach just steps from one of the most ideally located oceanfront hotels in Honolulu. Unwind in comfortable, family-friendly Newly Renovated guestrooms offering spectacular views of the Pacific Ocean and Waikiki City lights. The hotel also features over 20,000 sq. ft. of Elegant Wedding, Banquet, and Meeting facilities, 4th largest in Waikiki. Discover the chic side of Waikiki at Alohilani (“The Heavenly Brightness”) Resort Waikiki Beach. Alohilani is ideally suited for family, business, or leisure travelers. 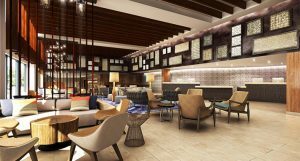 Visit the O Bar – Lobby Bar & Lounge surrounded by the hotel’s 280,000 gallon saltwater Oceanarium, rising three stories, home to hundreds of native Hawaiian species of marine life. The Oceanarium offers guests a remarkable opportunity to learn about Hawaii’s underwater world. Alohilani sparks a new vibe on Waikiki Beach, blending Hawaii’s cultural heritage with an elegant contemporary style that’s uniquely Aloha Chic. Effective October 1, 2017, the Pacific Beach Hotel will officially become the ‘Alohilani Resort Waikiki Beach. Booking Window: Through December 31, 2018. Travel Window: Through December 24, 2019 (black out dates apply). Starting from $750 per person, double occupancy, roundtrip air from the mainland and 3 hotel night. 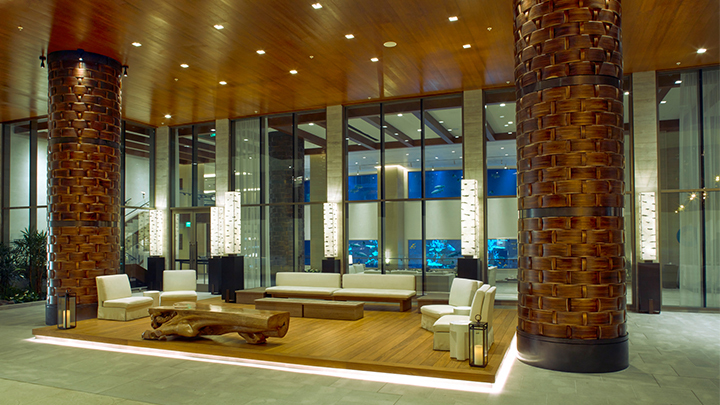 Book in participating room categories with no minimum length of stay requirement. Note: 30 days advance purchase is required. All bookings are guaranteed and final. Participating categories: Standard; Partial Ocean View; Diamond Head Ocean View; Ocean View; Premier Ocean Front. Book in participating room categories with no length of stay requirement and receive daily continental breakfast for two at O Bar (lobby level). Great interisland air and hotel offers.Starting from $1,228 per person, double occupancy. Interisland Offers: Garden Value, Breakfast Package or 5th Night Free.Starting from $272 per person, double occupancy. 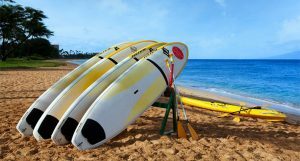 Great Marriott International Hawaii hotel packages with interisland air.Starting from $277 per person, double occupancy. 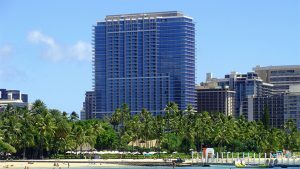 Trump International Waikiki Hotel packages with mainland air. Starting from $983 per person, double occupancy. 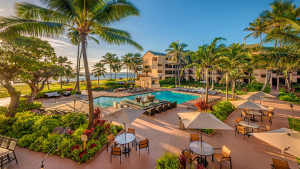 Courtyard by Marriott Kauai packages with mainland air.Starting from $762 per person, double occupancy.